The B-Boy Summit's 20+ year history is illuminated by the rich contribution to the public's understanding of Hip-Hop culture through both visual presentation of the elements of Hip-Hop along with educational panels that detail the transmission of Hip-Hop's cultural art-forms around the globe. 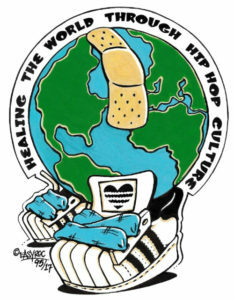 Of this years "Healing" theme, B-Boy Summit founder Asia One states "the mission is critical and we know Hip-Hop works. It teaches, challenges, uncovers, and exposes the truth, who we are collectively diverse together, and how we live. It’s our values of each one teach one, respect for self-determination and for multiculturalism. We connect with one another upon skills, knowledge, and community involvement, uniting to bring the mission to fruition, ultimately resulting in Healing the World Thru Hip-Hop." The B-Boy Summit is an all-ages event. The Summit will begin Saturday, August 12th inside Cal State LA's Golden Eagle Ballroom, continuing on Sunday with a Park Jam at a yet-to-be-named location. Check out footage from B-Boy Summit 2010's Color War battle final between Battle Born and Renegades below. For more information on The B-Boy Summit, visit their website at www.bboysummit.com.